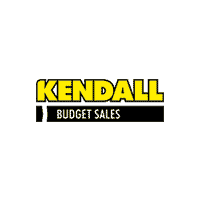 Kendall Budget used car center is pleased to offer How to protect your purchase? CARFAX BuyBack Guarantee got you covered. This 2017 Mitsubishi Mirage has great acceleration and wonderful styling without sacrificing exceptional fuel economy. You can finally stop searching... You've found the one you've been looking for. More information about the 2017 Mitsubishi Mirage: If your idea of basic transportation is a no-frills economy car with five doors, a 10-year/100,000-mile warranty, the best non-hybrid fuel economy on the market, a base price under $13,000, and a fun color palette, then look no further than the Mitsubishi Mirage. With its diminutive size, the Mirage is quite nimble, allowing for excellent maneuverability in tight spaces. It also comes with a surprising array of tech options that include Android Auto and Apple Car Play. The Mirage may not win many drag races, but it will get everywhere it needs to go, and it will save money the whole way. Interesting features of this model are low starting price, strong standard tech features, terrific warranty, agile handling and maneuverability, and Excellent fuel economy Located next to the foot bridge on Good Pasture Island Road, come see us at Kendall Budget Used Car Center. Kendall Budget used car center is pleased to offer 2014 Ford Fiesta. Only the CARFAX Buyback Guarantee can offer you the comfort of knowing you made the right purchase. The Ford Fiesta ST speaks volumes about it's driver, uncompromising individuality, passion for driving, and standards far above the ordinary. It's exceptional fuel-efficiency is a clear sign that not all vehicles are created with the same standards. This vehicle has extremely low mileage on the odometer, so while it's pre-owned, it's practically new. More information about the 2014 Ford Fiesta: The Fiesta offers a host of connectivity and tech features that aren't typically available in this budget-priced small-car class. Its 40-mpg EPA highway rating is very impressive, while the 6-speed PowerShift transmission is one of the most advanced automatics in any small car. Other features, including push-button start, aren't typically offered in its price class, while a wide range of potential customization and appearance options appeal to younger shoppers who want to express an individual style. Finally, the new 197-hp Fiesta ST offers speed and agility unparalleled in this class. Interesting features of this model are Segment-leading fuel economy, wide range of options and accessories, high-performance ST trim, stylish interior, advanced PowerShift transmission, and low starting price Located next to the foot bridge on Good Pasture Island Road, come see us at Kendall Budget Used Car Center. Kendall Toyota used car center is pleased to offer This vehicle is loaded with great features, plus it comes with the CARFAX BuyBack Guarantee. This wonderfully fuel-efficient vehicle offers a supple ride, quick acceleration and superior styling without sacrificing MPGs. Based on the superb condition of this vehicle, along with the options and color, this Ford Fiesta S is sure to sell fast. More information about the 2015 Ford Fiesta: The Fiesta offers a host of connectivity and tech features that aren't typically available in this budget-priced small-car class. Its 40-mpg EPA highway rating is very impressive, while the 6-speed PowerShift transmission is one of the most advanced automatics in any small car. Other features, including push-button start, aren't typically offered in its price class, while a wide range of potential customization and appearance options appeal to younger shoppers who want to express an individual style. Finally, the 197-hp Fiesta ST offers speed and agility unparalleled in this class. Interesting features of this model are advanced PowerShift transmission, Segment-leading fuel economy, stylish interior, high-performance ST trim, low starting price, and wide range of options and accessories Located next to the foot bridge on Good Pasture Island Road, come see us at Kendall Toyota Used Car Center.